Every since I can remember I’ve always loved nut butters. Peanut, cashew, almond, you name it; I could live off nut butters. It’s pretty great on almost anything, chia seed pudding, toast, pancakes, yogurt, out of the jar, the list could go on for days. The only problem with nut butter is that you could go broke to maintain your addiction because it is ridiculously expensive. The decent jars of nut butter cost more than an entire meal for two at Chipotle. So I started making my own nut butter years ago and it is even better than the store bought kind! 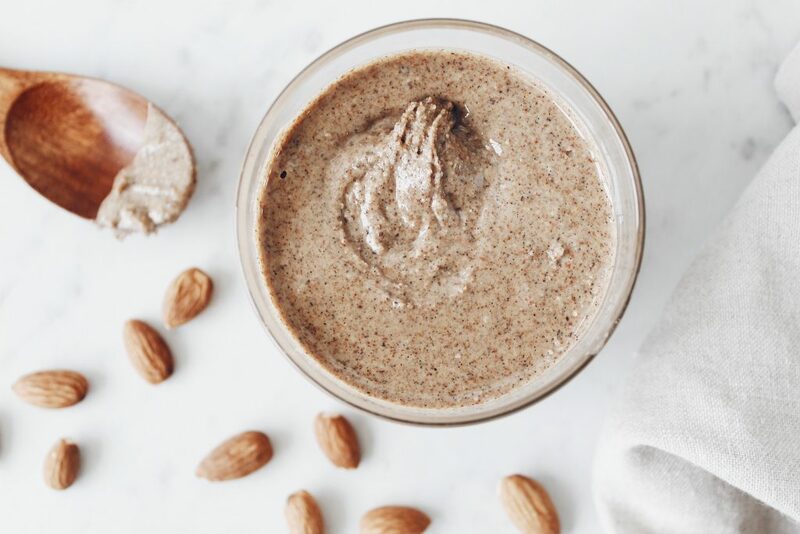 Making your own nut butter sounds like quite the hassle but trust me, it’s not. It’s actually very easy. Plus, you roast the almonds before you blend them and it makes your house smell so amazing. If you have guests coming over you don’t have to bake cookies to make your house smell good. Just roast a few almonds for 6-8 minutes and your entire house will smell like pure heaven! This recipe is also very versatile. I typically make almond butter but if you don’t prefer almonds, you can switch it out for pecans, peanuts, cashews, whatever you like. Sometimes I do half almonds and half cashews. It’s so good! I eat right out of the jar. That’s right, no shame here. P.S. the vanilla bean powder really makes the nut butter shine. I will link it below. It is a little more expensive than regular vanilla extract but it is totally worth it. Also, do not try to substitute with vanilla flavoring or extract because it will not taste the same. All ingredients have to be dry for the nut butter to blend correctly. Pre-heat oven to 325 degrees. Pour almonds onto a baking sheet & roast for 6-8 minutes. Keep a close watch because they will burn quickly. Once almonds are roasted, let them cool for about 10 minutes. Once cooled, pour almonds and all other ingredients into a food processor and begin to blend on low. The mixture will take about 10 minutes on low to form a nut butter texture. Keep a check on it about every 2 minutes to make sure nuts do not get clogged on the side. If so, stop the food processor and scrap the nuts back down to the bottom with a spoon and continue to blend. Be patient because it may seem like the nut butter will never form but I assure it will and it will taste absolutely divine when it is done. Once the mixture has blended into a nut butter consistency, pour into a sealable jar. It is not necessary to refrigerate. 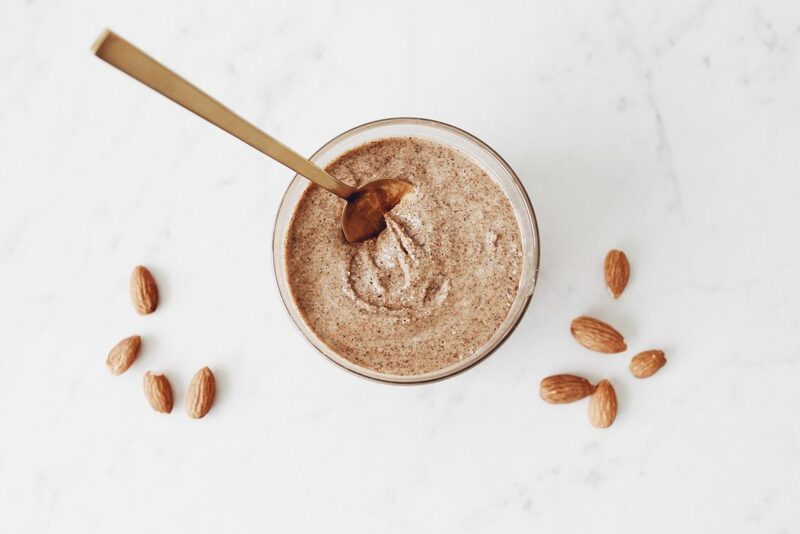 Nut butter will keep approximately 2 months….if it lasts that long!